Even though we breathe air to survive, how many of us take the air we breathe for granite? You betcha! We all do! If you are scuba diving, believe me, you really appreciate that scuba tank that’s on your back. 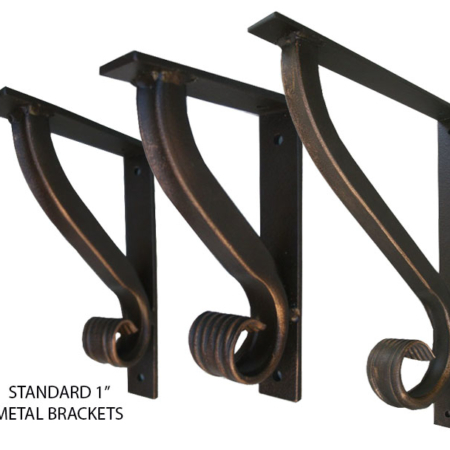 Well, breathing air may not have anything to do with iron angle brackets, but in a way, bracket support, of some kind, is necessary for survival. Yes, the survival of your heavy counter top, shelf, or that beautiful mantel piece depends on good support. Yep, just like the air we breathe! It’s totally sad when weak, flimsy, pointless brackets give way to the stress of its heavy burden. That’s why you are here! And, we thank you for taking a bit of your time to check us out. 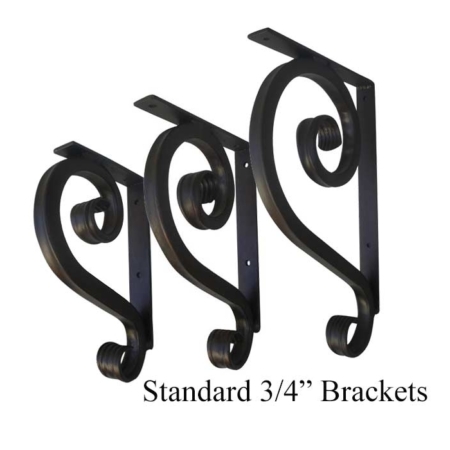 Our Standard Angle Brackets are grouped together to make it easier for you to find the exact size bracket you need at a very affordable price. We carry a bolder, heavy looking angle bracket that is 1” in diameter. It brings a little more drama with it. 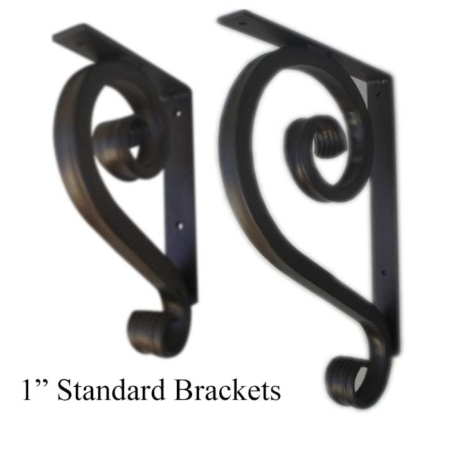 Our ¾” in diameter iron bracket has a leaner look. This support bracket is idea for smaller spaces that don’t allow for a wider reveal. Our third Standard metal Bracket is really neat, as well. It is not a full scroll, but has some curvature with that beautiful decorative fish tail at the bottom. 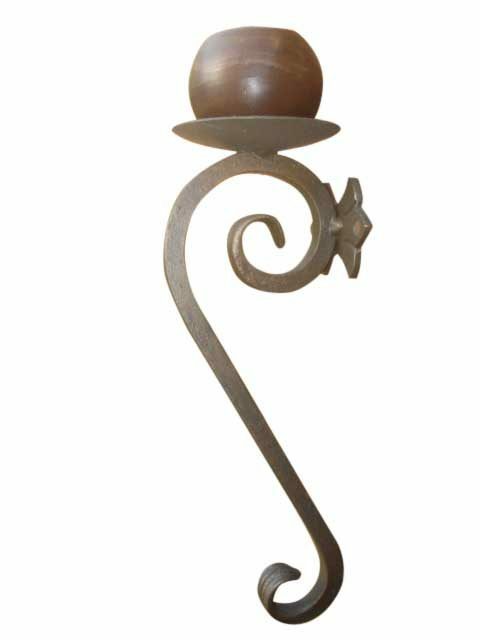 Whichever bracket you love, you are assured of receiving the same quality and craftsmanship, as all our iron products, in your order. You have the same options of our unique finishes that safeguard, beautify, and protect, against the indoor and outdoor elements. 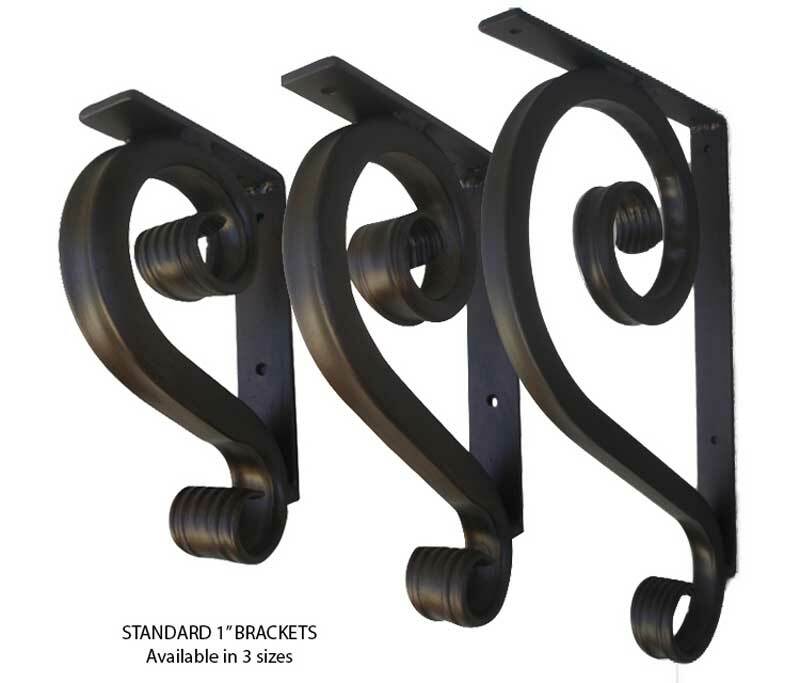 Imagine your mantel, countertops, or shelving sitting on top these decorative support corbels. You will breathe better knowing that you have the best support against stress and the heavy burden.